Sleepiness and long term fatigue are now recognised as major factors impacting accidents at sea and seafarer health. A recent study found that fatigue and stress levels are perceived to be higher at the end of a voyage with an individual’s motivation, social cohesion, and quality of sleep deteriorating the longer seafarers are away from home. The study, ‘Project MARTHA’, has been conducted through an international partnership of researchers and industry professionals over three years with the findings launched at IMO in January 2017. 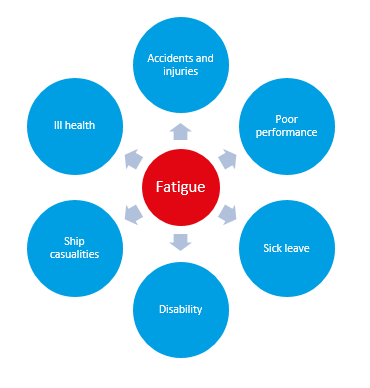 This article outlines the main findings and provides some advice for companies and Masters on how to manage fatigue on their vessels. During the study, 110 seafarers kept weekly diaries for periods of up to four months while at sea. The results from the MARTHA project have indicated that cases of fatigue and stress of crew increases as the voyage length increases, and motivation decreases. Masters suffer more than their colleagues do from both fatigue and stress. Port work is particularly demanding, and the results also show that no one on board gets adequate sleep, with the night watch keepers being particularly at risk of falling asleep. High sleepiness levels can occur at any stage of the voyage and the quantity and quality of sleep deteriorates over long voyages. The results from the use of Actiwatches (wrist worn devices which indicate physical activity) have also confirmed many of the perceptions of seafarers from their interviews and weekly diaries. Mental disorders, such as depression. The increased prevalence of several of these conditions has been identified in seafarers1. The importance of getting enough sleep when the opportunities arise should therefore be emphasised to all crew. The consumption of soft drinks and sweets. Those not partaking in regular exercise. 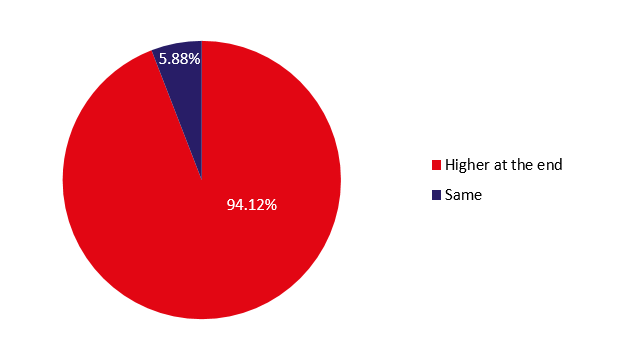 With regards to the 110 of seafarers of all ranks in the sample, the majority of seafarers (61%) consider that they are more fatigued at the end of a voyage than at the beginning. This is irrespective of the actual length of the voyage. 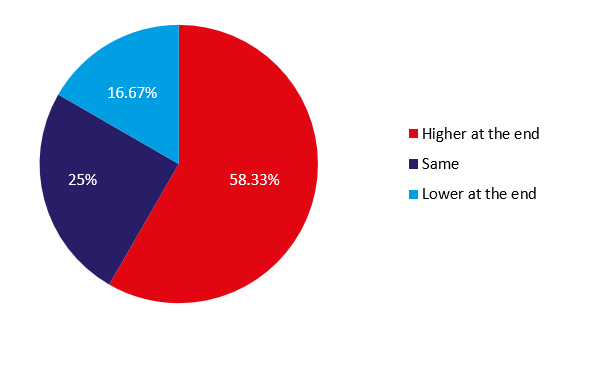 If this result is studied more closely, we discover that this finding varies depending on what rank is being considered and hence the types of task carried out on board. The study considered three groups of crew on the vessel: The master; watch keeping officers; and day workers. Each group contained at least 10 members. The group representing day work crews, cooks and engineers experienced less fatigue at the end of the voyage than other groups, with a majority of the group being less fatigued or the same by the end of their tour. The watch keeping group was represented by third and second deck officers. A small majority of officers reported they felt more fatigued at the end of their tour than at the beginning. The group representing the masters presented a very different picture, with a very large majority of the group reporting that their fatigue levels were higher at the end of their tour of duty than at the beginning. The sample of 110 seafarers were also asked if they experienced more stress at the end of the voyage than at the beginning. 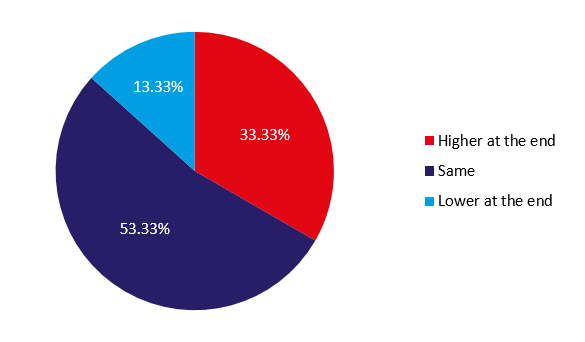 Of the entire sample, nearly half the seafarers did experience higher levels of stress by the end of their tour. The background questionnaire data also showed that masters experienced more days than their fellow crew members in which they felt stressed all the time. Long-term fatigue levels are perceived differently depending on the nature of the work on board. Masters and watch keepers appear to fare worse than day workers. Fatigue and stress levels are perceived as higher at the end of a voyage than the beginning by most crew and port work is seen as more demanding than work at sea. Sleepiness levels vary a little during the voyage, suggesting there are opportunities for recovery. Overall, there is a small but significant decrease in the amount of sleep in a 24 hour period over the course of time. Masters and day workers get more sleep than watch keepers, but masters are more at risk of fatigue than other ranks. Night watch keepers (second officers) get significantly less sleep than others. Individual motivation and social cohesion both deteriorate the longer seafarers are away from home. This has important implications for safety, as it may be a significant underpinning root cause of phenomena such as complacency, short cuts, and not following procedures. Although the amount of sleep experienced by seafarers during a voyage may stay the same or decrease slightly, there is evidence that sleep quality becomes more disturbed over time – there are more wake bouts and fragmented sleep. In conclusion, the evidence from three different sources of data, 937 questionnaires, 110 weekly diaries and 70 Actiwatch graphs point in the same direction, Sleepiness and fatigue are ever-present risks to all on board. Long tours of duty (over six months) may lead to increased sleepiness, loss of sleep quality and reduced motivation. Any of these outcomes could result in ’near-misses’ and accidents on board. Night watch keepers are most at risk from falling asleep on duty. Trying to maximise their recovery time when the opportunities arise will help to mitigate this risk. Masters feel stressed and fatigued at the end of their tours of duty and need recovery time through their periods of leave, which should be undisturbed when possible. There are simple operational solutions which can ensure sleep is easier for those on board through fatigue risk management. These solutions should involve both seafarers and those agencies ashore, which impact on shipboard operations. The introduction of Fatigue Risk Management Systems (FRMS), presents an integrated systems approach to managing the risk of fatigue. It requires ownership by all in the company, changes in culture and can be introduced in a gradual process as the company develops its own approach. The development of new data collection, transmission and analysis techniques will accelerate the process. Raise awareness of fatigue by promoting information for your crews. Booklets are available which give simple advice on getting sufficient sleep, for example the Fatigue: a safe health guide booklet produced as part of the fatigue risk management training of project MARTHA. Introduce a fatigue incident reporting scheme. This could be an extra item on the safety committee agendas to record and discuss incidents on board which may have had a fatigue element. Review the company’s policies to check what is already written about fatigue risk management. Introduce a new policy statement if nothing exists. With a new or revised policy, think about introducing fatigue related Key Performance Indicators (KPIs) into the operational performance management systems. These can be monitored at quarterly intervals for example to check the progress of other measures. For more information on the study and its findings, download Project Martha: The final report.